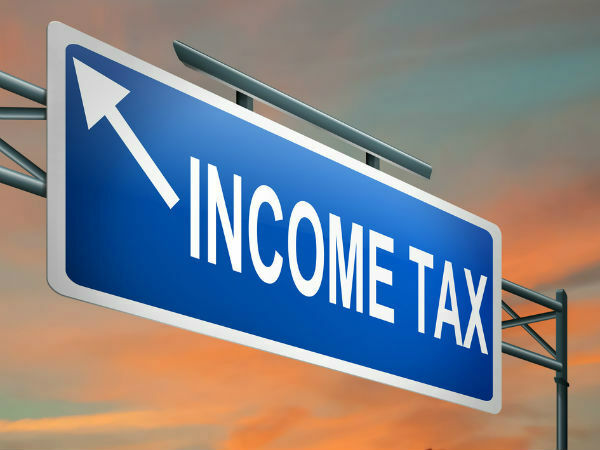 If you think that you are not earning much, and it won’t make any difference if you do not file your Income Tax return, well here are some reasons which will make you rethink. To put it in simple words, there are plenty of advantages for filing your income tax return, disadvantages being none. Whereas if you don’t file your return you will abstain from a lot of benefits, let alone the disadvantages. Filing income tax return give you peace of mind and satisfaction that you are contributing for building nations wealth. Be a good citizen by contributing to the country’s growth. 1) To claim refund: If you have a refund due from the Income Tax Department, you will have to file returns, without which you will have to forgo the refund. Some taxpayers may be primarily investing through fixed deposit. On such investments tax is deducted at source (TDS) at 10 per cent. If the individual’s total taxable income is less than the threshold of Rs 2.50 lakh, they can file returns and claim a full refund. 2)Easy Loans: Having filed the ITR will help individuals when they have to apply for a vehicle loan (two-wheeler or four-wheeler), home loan, personal loan or credit cards. All major banks can ask for a copy of tax returns. 3)VISA processing: If you are traveling overseas, foreign consulates ask you to furnish ITR receipt of the last couple of years at the time of the visa interview. Producing ITR receipts show that one has some source of income in India thus, strengthening your case as someone who will not leave the country for good but will return. When traveling to foreign countries, whether on a business or leisure trip, experts suggest you always carry income-related proofs like salary slip, Form 16 and ITR receipts. 4)Buying a high life cover: Buying life cover of Rs 50 lakh or Rs 1 crore has become common place. However, these covers are available against your ITR documents to verify annual income. Life insurance companies ask for ITR receipts these days if you opt to buy a term policy with sum insured of Rs 50 lakh or more. 5)To carry forward losses: If you do not file returns, you will not be able to carry forward capital losses (short-term or long-term), if any, in a financial year to be adjusted against capital gains made in the subsequent years. A long-term capital loss in one year can be carried forward for eight consecutive years immediately succeeding the year in which the loss is incurred. Long-term capital loss can be adjusted only against a long-term capital gain in the year. But short-term capital loss (STCL) can be adjusted against long-as well as short-term capital gains. 6)Government tender: Experts say that if one plans to start their business and need to fill a government tender or two for the same, they will need to show their tax return receipts of the previous years. This again, is to show your financial status and whether you can support the payment obligation or not. 7)Self-employed: Businessmen, consultants and partners of firms do not get Form 16. Hence, ITR receipts become an even more important document for them, provided their annual income exceeds the basic exemption limit. If you don’t file your return in time, you will have to pay one percent interest on your tax dues when you file at a later date. If you have incurred losses, you cannot carry forward the same to subsequent years if you do not file your return. Electronics filing (e-filing ) of tax returns comes with its own set of benefits like faster processing, convenience, better accuracy, confidentiality, accessibility of past data, proof of receipts, ease of use, electronic banking and time saving. We always looks for online solutions for everything. then why not file your income tax online.